Despite the city having financial woes, the Arroyo Grande City Council voted late Tuesday night in favor of the most expensive option for the long-debated Brisco Road interchange project. 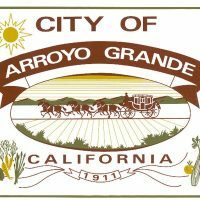 Just before midnight, the Arroyo Grande council voted 3-2 for a $22.7 million version of the project, passing on a $12.3 million alternative. Mayor Caren Ray Russom and Councilman Jimmy Paulding cast the dissenting votes. Caltrans has allocated $6.6 million for the Brisco Road interchange project, but Arroyo Grande still has insufficient funding to complete the project, City Manager James Begman said. When asked by Mayor Ray Russom how Arroyo Grande would fund the option the council selected Tuesday night, Begman said the project would go to the voters.